has proudly completed its 4 weeks at box office. 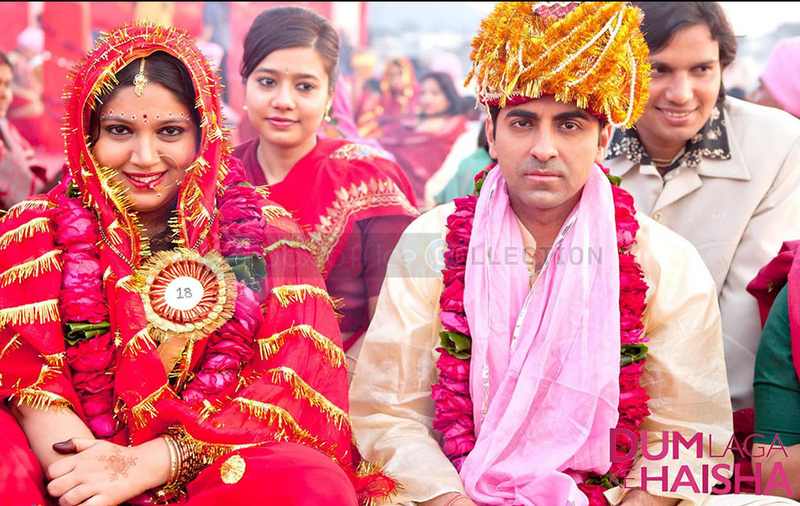 Ayushmann Khurrana & debutante Bhumi Pednekar starrer received huge appreciation from audience. Even after having a normal & simple story line, audience showed thumbs up to the movie, which proved that viewers still loves simple scripts. Dum Laga Ke Haisha is not a high budget movie released under a biggest banner of Bollywood Yash Raj Films. The direction & screenplay of the movie is very good, this is also the reason which made the simple script to a beautiful love story. Released on 27 February 2015 and has completed successfully completed its 4 weeks at Box Office. Dum Laga Ke Haisha opened up at Box Office with the figure 1.12 crore but with high positive word of mouth. In its first weekend, the movie has made total 6.12 crores and with such good length steps movie made 10.64 crores total as first week business. In its second, movie performed better than the expectations and collected total 9.94 crores. In its 3rd week, movie experienced a expected drop in business and made 5.12 crores as 3rd week total. Then in 4th week, the total business done by the movie on around 50% remaining screens is 2.37 crores. So now the total collection of Dum Laga Ke Haisha in four weeks at Box Office has become 28.07 crores. Starcast: Ayushmann Khurrana, Bhumi Pednekar & Sanjay Mishra.